4 What Is Lecithin Powder? Green Magma is a barley grass supplement manufactured by the Green Foods Corporation. Available as tablets or as a powder that can be mixed into juice or water, Green Magma was originally developed by Japanese scientist Yoshihide Hagiwara. According to Hagiwara, Green Magma contains nutrients and phytochemicals from barley grass that can give you more energy, improved disease resistance, and healthier skin, nails and hair. Talk to your doctor before using Green Magma. Green Magma consists of three primary ingredients: barley grass juice powder, maltodextrin derived from tapioca and brown rice. The powdered barley grass juice is obtained by a juicing and spray-drying procedure developed by Hagiwara that the company claims protects the nutrients in the powder from deterioration. Maltodextrin and brown rice add texture and further protect the barley grass nutrients from oxidation. All three ingredients have been certified as organic by Quality Assurance International. Green Magma in tablet form also contains magnesium stearate, an inactive compound used as a lubricant. A typical 2-teaspoon serving of Green Magma powder contains 20 calories, with approximately 16 of these calories contributed by 4 grams of carbohydrates. The majority of these carbohydrates are from naturally occurring plant sugars. Green Magma is fat-free and has 1 gram of protein per serving. 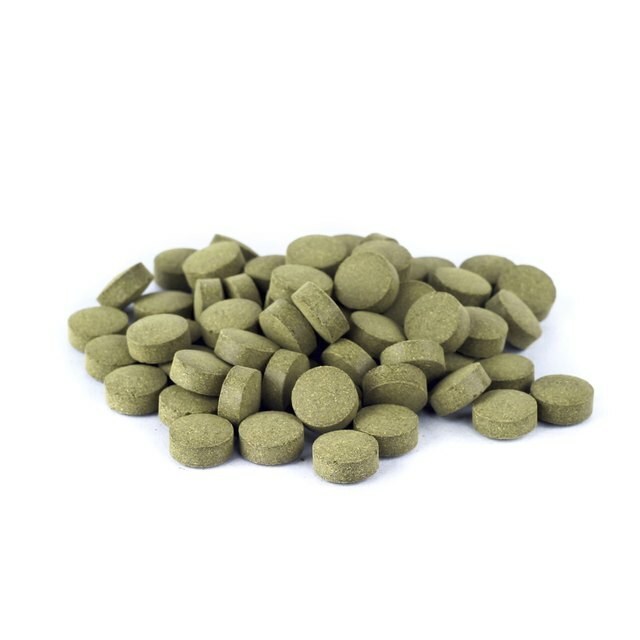 The manufacturers report that, for a healthy adult on a 2,000-calorie diet, 2 teaspoons of Green Magma powder is an excellent source of vitamins A and K and rich in potassium, folic acid and vitamin C. The supplement also contains 13 milligrams of chlorophyll. Green Foods contends that a number of scientific studies support the health benefits of barley grass juice powder. For example, a 2002 study published in the medical journal "Diabetes & Metabolism" reported that people with Type 2 diabetes who supplemented with barley grass juice powder and vitamins C and E may be able to decrease their risk of cardiovascular disease. Another, published in 2003, reported a drop in cholesterol for Type 2 diabetics taking barley grass juice powder and olive oil. However, there remains no conclusive scientific evidence that Green Magma alone can produce these effects. There are also no studies that prove the manufacturers' other claims about the product. The U.S. Food and Drug Administration cautions that over-the-counter dietary supplements like Green Magma are not regulated by the government and have not been checked for effectiveness or purity. While no significant side effects associated with Green Magma have been reported, there isn't enough information about the supplement to be certain that it is safe to take with other supplements or drugs and that it won't exacerbate the symptoms of some medical conditions. Children and nursing or pregnant women should not use Green Magma unless they are under a doctor's supervision. In addition, avoid Green Magma if you are allergic to barley or have celiac disease.